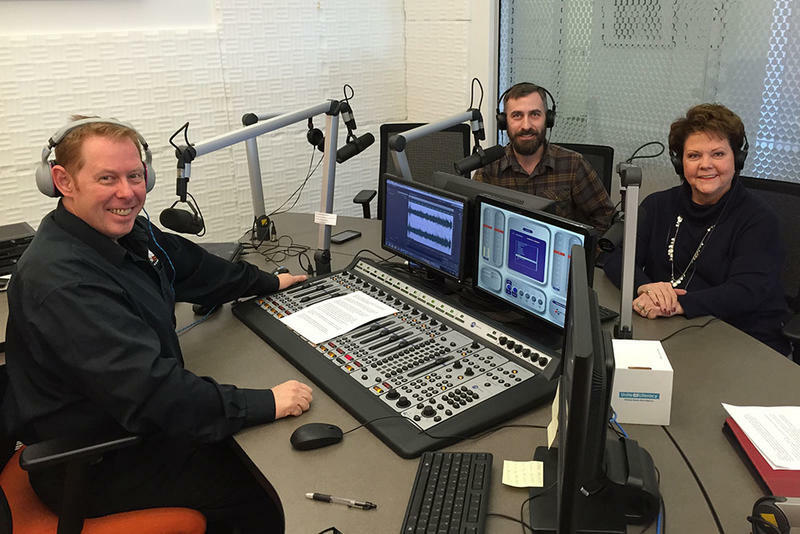 This Week in Oklahoma Politics, KOSU's Michael Cross talks with Republican Political Consultant Neva Hill and ACLU Oklahoma Executive Director Ryan Kiesel about Governor Stitt signing his first bill allowing anyone over 21 to carry a gun without a permit or training, a Senate committee passes measures to give the governor power over the hiring and firing of five state agency directors and another Senate committee passing legislation making abortion illegal if Roe v. Wade gets overturned in the US Supreme Court. This Week in Oklahoma Politics, KOSU's Michael Cross talks with Republican Political Consultant Neva Hill and ACLU Oklahoma Executive Director Ryan Kiesel about accusations of thousands of dollars in back child support against House Appropriations Chairman Kevin Wallace, legislators are heading into the 2019 session with more than 2,800 bills and one of those is a bipartisan measure to make State Question 780 retroactive. 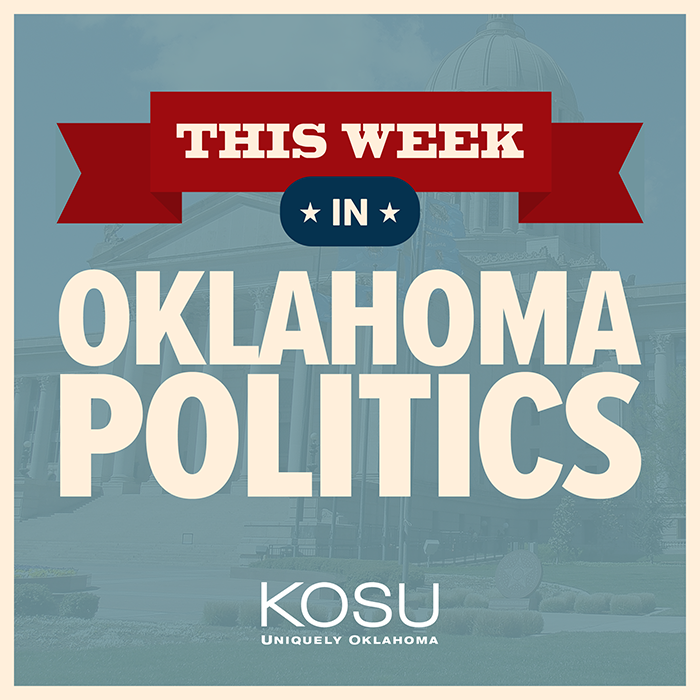 This Week in Oklahoma Politics, KOSU's Michael Cross talks with Republican Political Consultant Neva Hill and ACLU Oklahoma Executive Director Ryan Kiesel about nearly $600M extra for the state to allocate in the coming fiscal year, incoming Governor Kevin Stitt nominate Blayne Arthur to be the state's first female Secretary of the Agriculture and a federal judge declares an OKC ordinance banning panhandling in certain medians constitutional. This Week in Oklahoma Politics, KOSU's Michael Cross talks with Republican Political Consultant Neva Hill and ACLU Oklahoma Executive Director Ryan Kiesel talk about Governor Fallin's eighth and final State of the State Address as well as a protest at the end of the speech and lawmakers begin voting on measures containing the Step Up Oklahoma plan. The Oklahoma House approved legislation on Tuesday that reduces sentences for property crimes like larceny and forgery. Republican Terry O’Donnell of Catoosa authored the bill. He says it will lower the state's overall incarceration rate and the number of women in prison — many of which are convicted for non-violent crimes like writing bad checks. 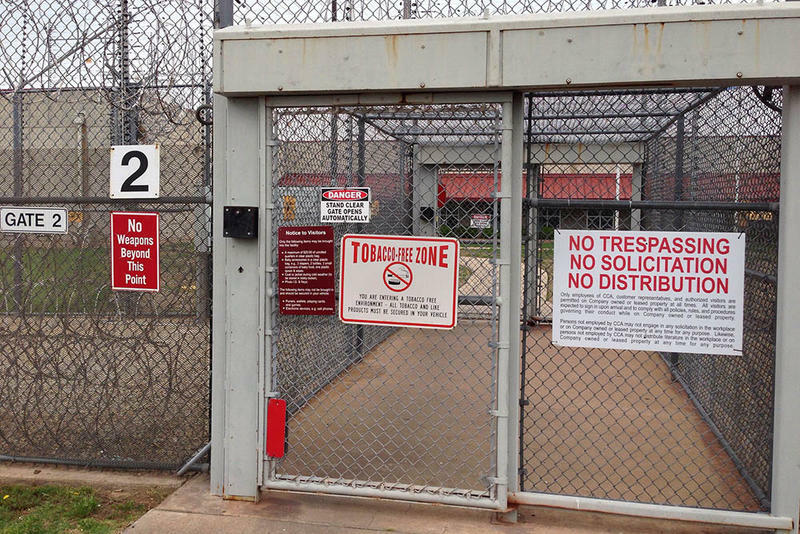 O'Donnell's office says prison admissions for property crimes grew by almost 30 percent recent years. The average sentence for those convictions has also increased over time. This Week in Oklahoma Politics, KOSU's Michael Cross talks with Republican Political Consultant Neva Hill and ACLU Oklahoma Executive Director Ryan Kiesel about the annoucement by Tulsa Republican Senator Dan Newberry that he is resigning his seat effective next January or 2018, 17 Oklahomans sign up to run for election to two legislative seats & Governor Fallin signs the third and final bill to come out of the State Capitol to reform Oklahoma's correction system.